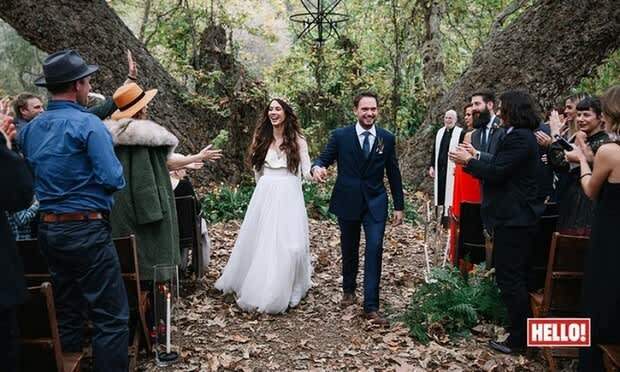 Bellisario, star of Pretty Little Liars, and Adams, star of Suits, wed in SoCo this past weekend at a camp themed wedding. Complete with camp orientation, a school bus, and bonfire. As if the two couldn’t get any more adorable, reports say they sang to one another, and trashed a registry of gifts and encouraged their 200 guests to donate to the David Suzuki Foundation and SickKids Hospital. The couple got engaged back in February of 2014 kept details of their wedding on the low for a while. Celebrity guests included: Lucy Hale, Chris Pine, and Ashley Benson, oddly enough not me? I guess that was an oversight.